A simple primer on Canadian Football for those familiar with gridiron football and others not as much. 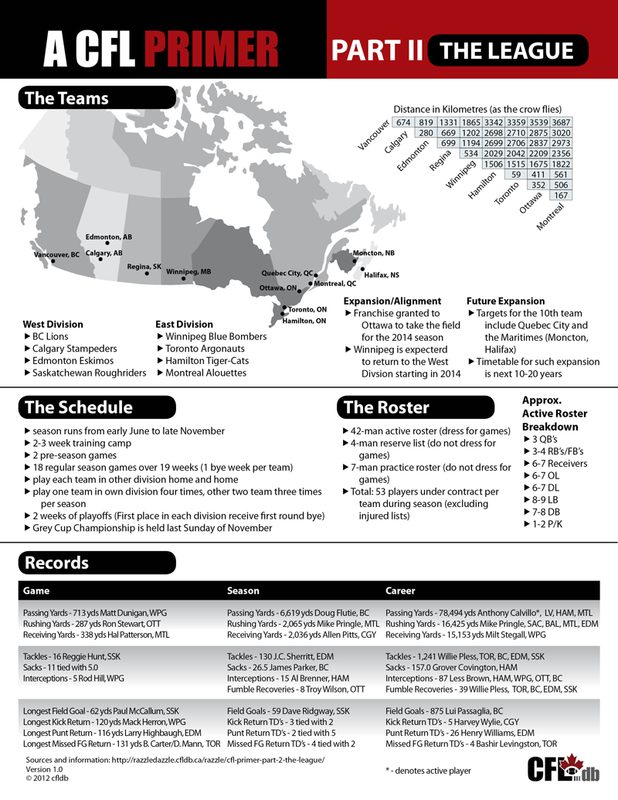 The second in a series, this infographic on the league covers the teams and a map of their locations, divisions and expansion, the schedule, the roster and game, season and career records. Thanks to our hardworking graphic designer for taking my vision and bringing it to life. Also see part I of the primer. Please link to this page and not directly to the file. Please do not host or distribute this content elsewhere without CFLdb's permission. Continue the conversation on Twitter.